Love camping, hate lying awake cold in the middle of the night? Love camping, hate chewing on charcoal and grit from the campfire meal? Love camping, hate spending days feeling just a little bit too grubby? 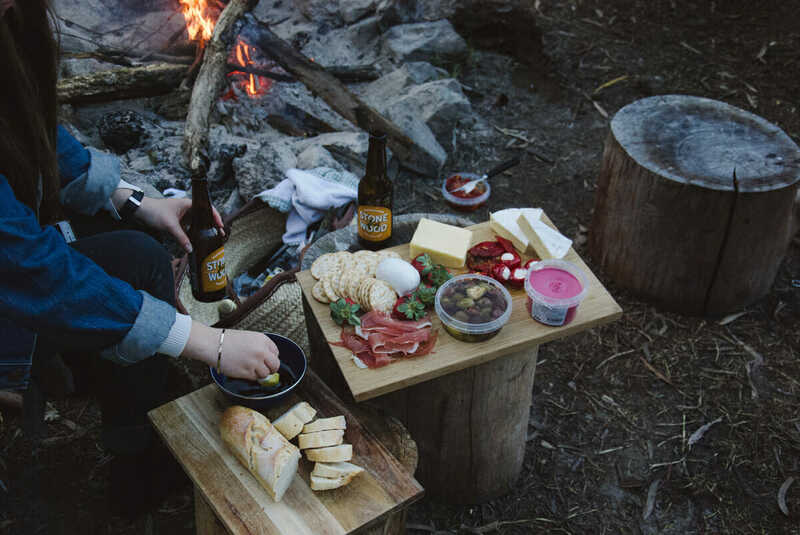 Camping doesn’t have to mean roughing it. There are many great products available to make your camping experience comfortable. Does it take you ten minutes to uncrick your neck/back/whole body after a night spent trying to get comfortable in the tent? 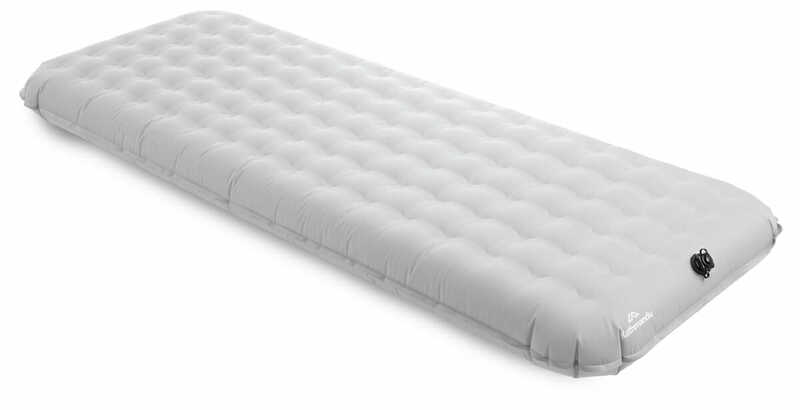 Invest in a self-inflating mattress, or a mattress with an inbuilt inflator. This does away with the tedious task of blowing up the air-mattress and a self-inflator won’t let you down in the night. There are dozens on the market. Our tip is to find a size that suits you, making sure that it has enough insulation in its design to stop the cold creep from the ground. There are mattresses with inbuilt pillows and the good ones can weigh as little as 900gms, which makes them perfect for hikers. Your sleeping bag is really important. Check the temperature rating to ensure you buy a bag that suits your needs. 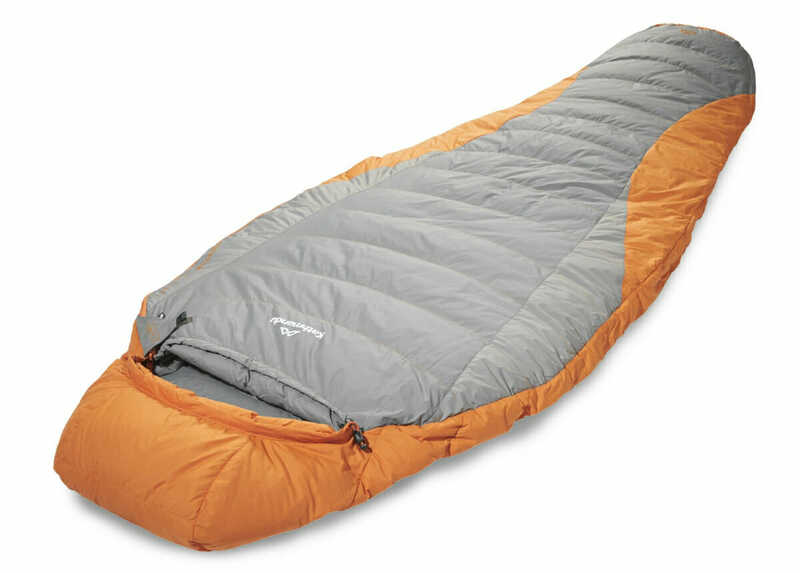 The Pathfinder V2 is rated to 5˚, made from goose-down and weighs just 830gms. A natural fibre like goose-down will breath to adjust to your body temperature, so you don’t sweat then freeze. Find the Pathfinder at Kathmandu, where they have a huge range of sleeping gear. You can wash your feather sleeping bag, but don’t use a commercial soap or detergent because they may strip the natural oils from the down and it is these oils that help insulate your body. Try a product like Grangers Down Wash, instead. Tents are as diverse as houses these days. Do some research and buy the one that suits your needs – in the middle of the night in a downpour or high wind, saving a hundred bucks will not feel like a bargain if your tent fails you. This is when you discover that you get what you pay for. If you are really into camping out, consider a hammock, rather than a tent. In fair weather these are a wonderful alternative. There are styles with in-built mozzie nets and you can slide your self-inflating mattress inside. Mother Nature provides the trees. 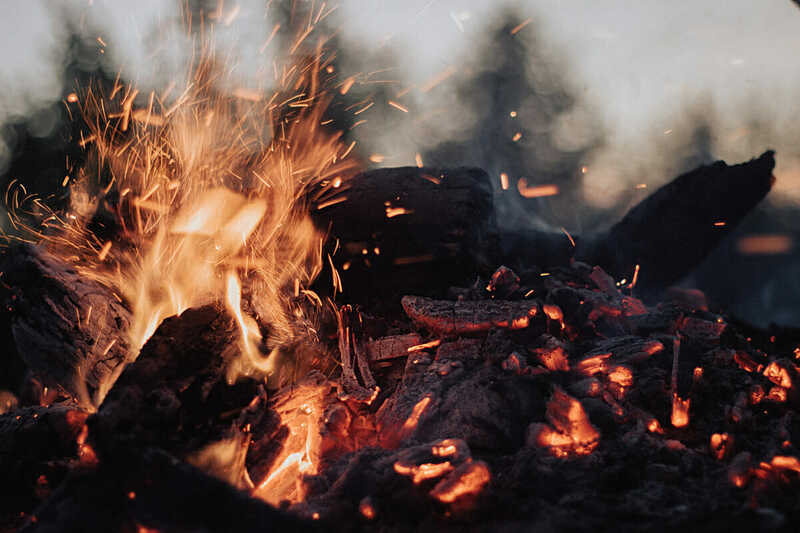 Cooking on a campfire is so romantic…the shooting flames, the scent of wood smoke, the actual wood smoke, the charcoal you thought was cool, more smoke, burned fingers, smoke, charcoaled sausages tasting of smoke. A great way to avoid burning and smoke inhalation is with a camp oven. This is a big cast-iron pot with a snug lid. Simply chop up vegetables and whatever protein you favour, add seasoning and water or stock to cover and set the pot onto the embers. Check it occasionally until the food is cooked. You can cook a whole chicken this way, with the potatoes and carrots tucked in alongside. And then there is only one pot to wash. 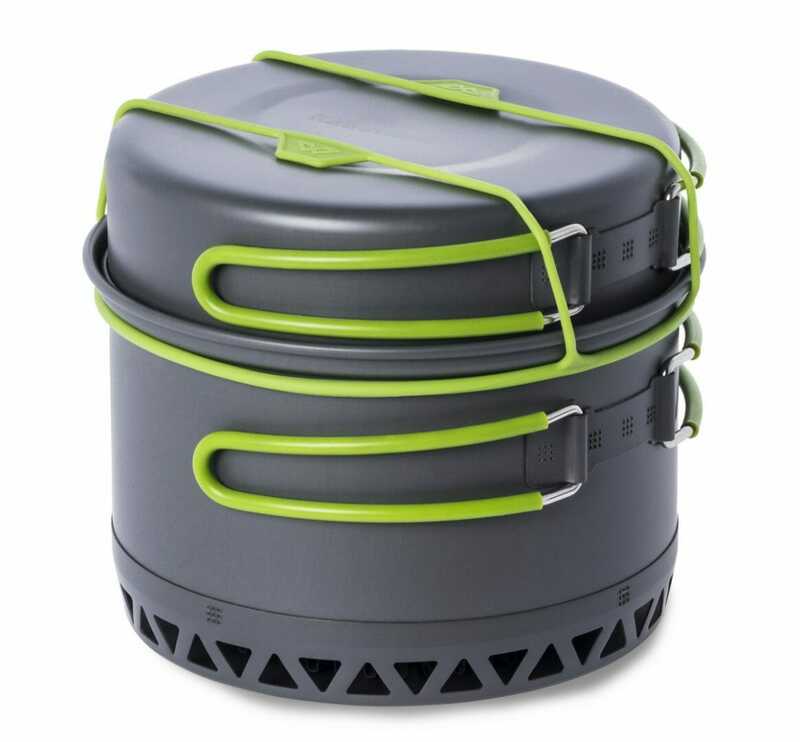 However, camp ovens are heavy, so for walk-in, walk-out campers, check out the Ascent range of lightweight cookware at Kathmandu, and a gas stove like the Backpacker Stove. This runs off Gasmate screw-on type canisters and weighs just 50gms. Or for the hard-core campers, dehydrated food packs! Go Native is a recommended brand. Another handy must-have for fire devotees is the flint. 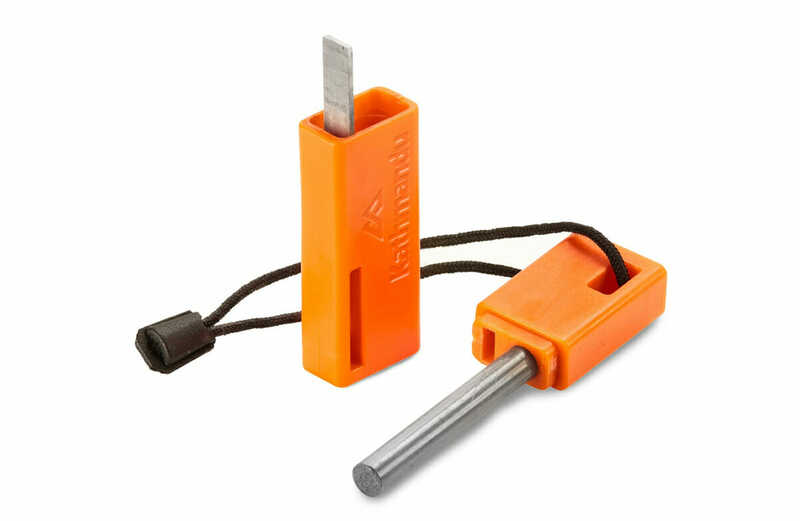 Kathmandu sell a Flintstick Firestarter that is reliable, water-resistant and pretty cool looking. Cooking is easier with a head torch, a camping must-have and there are so many on the market. Make sure to choose one with a minimum of 100 lumins; we would recommend 200 lumins. Getting into bed sandy, sweaty or a bit grubby is not fun, but is a part of camping, unless you invest in a solar shower. Again, there are many on the market so our only advice is to buy a reliable brand that will last. Try it out before you go and remember that a full shower bladder is a heavy shower bladder, so sling it over a branch that will take the weight! Another tip for seaside campers is to take along some talcum powder and use this before bed to smooth over that prickly salt-air skin. A dry sack is a good investment. Keep valuables like phones, wallets, matches and medicines in the dry sack, safe from the rain. This is a must-have for boating adventures and fishing trips. Another good investment is a decent first-aid kit. Any kit should contain antiseptic, a selection of band-aids, sterile wound dressings, swabs or cotton wool, a snake-bite compression bandage, a triangular bandage, adhesive bandage, adhesive strapping, zip-lock bags, pencil and paper, tweezers, safety pins and scissors. Camping specialists like Kathmandu sell ready-made packs in lightweight bags. If you are venturing away from help, doing a basic first-aid course would be sensible, as well as leaving a trusted person information about where you are going and when to expect you home. Having the right gear doesn’t mean having a lot of gear. 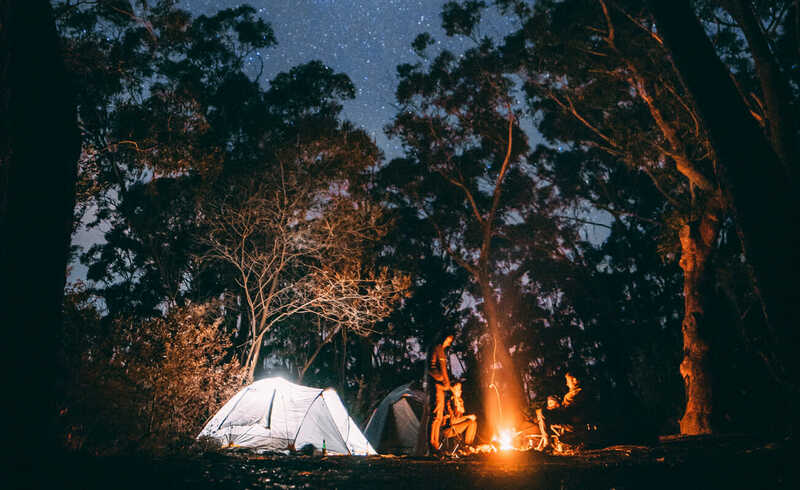 You can have a comfortable camping trip with the bare necessities, but experience has taught us that buying the cheapest brand is often false economy. Suit your gear to the terrain and your intentions. We spoke to the happy campers at Kathmandu, Coffs Central for advice in compiling this story. 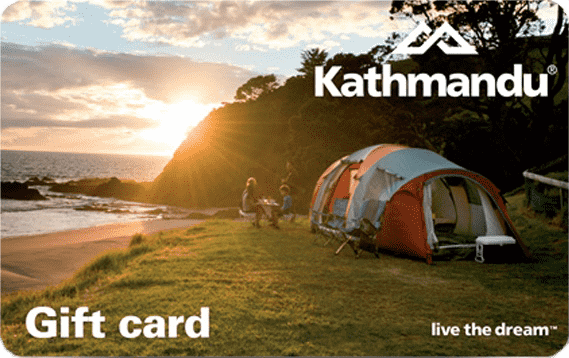 Contact them at https://www.kathmandu.com.au/stores/coffs-harbour or call 6650 0836.